The Half Marathon starts at the quay in Kinvara and runners will complete a lap of the village before they cross the N-67 in the direction of the post office. They will be lead out towards the Burren on the L-4509, locally known as the Killina Road. After a 7K stretch the race will turn right onto the scenic New Line Road. The race will turn right again onto the L-4507 next to Slievecarran before turning right on to the Trellick Road. The route continues on to the Moy Road and takes a final right turn at the intersection with the N-67 (towards Kinvara). Runners will be lead to the quay via Nuns Orchard and will finish back where the race started on the quay in Kinvara. The early miles of the half marathon are a series of gentle uphill sections leading to the first major right hand turn and the most scenic part of the course. There’s a steep hill at around mile 11 but its a looped course so where there’s an up there’s a down! 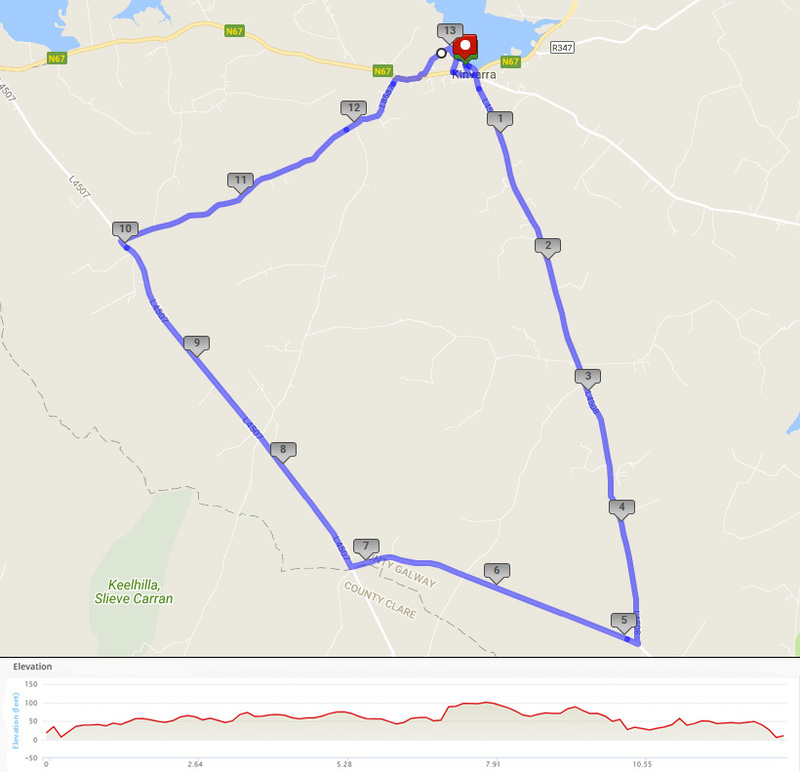 The N-67 is the main road through the village of Kinvara and this will remain open throughout the race with traffic being managed at key junctions. Other than that the half marathon route will be closed to traffic. For more details on road closures please see the Residents Info page.